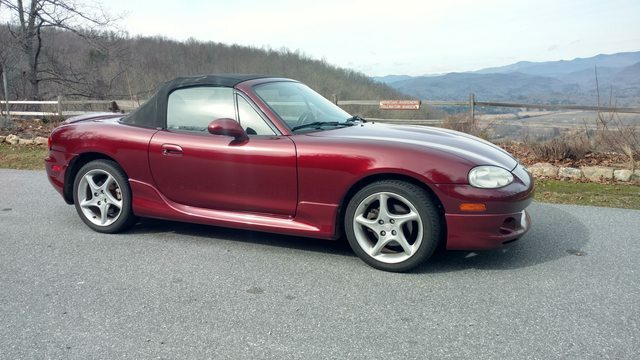 2003 Garnet Red - Miata Turbo Forum - Boost cars, acquire cats. 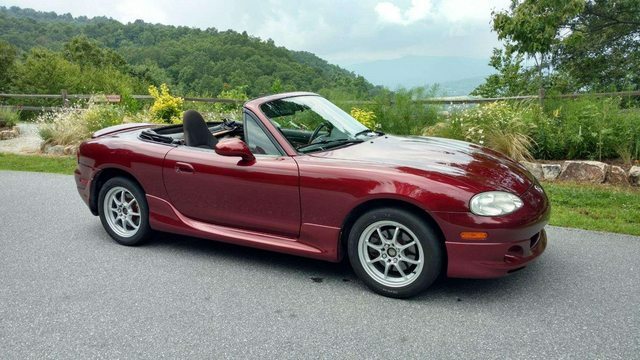 I'm selling my dad's miata. He bought it back in June 2018. He put maybe 5000 miles on it, a RB front bar, SPM end-links, 15x6.5 heliums(new), and RE71R for E-Street. There's a ONE EVENT set of RE71Rs that could be negotiated into the deal or some OLD RE71Rs. Had plans to source hard-s spring, buy some billies, and install a torsen. It can be a decently competitive ES car IMO. No mechanical issues with this car, runs and drives great. 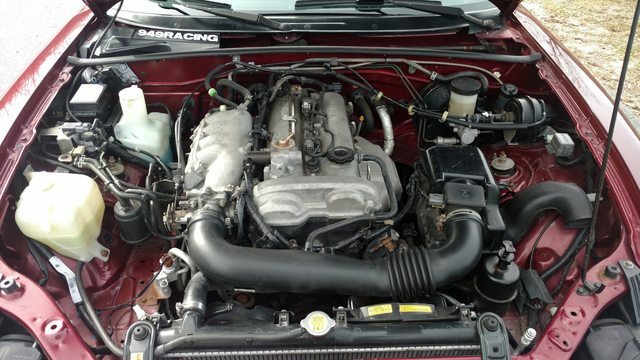 This car is free of any major rust and all components are in good condition. 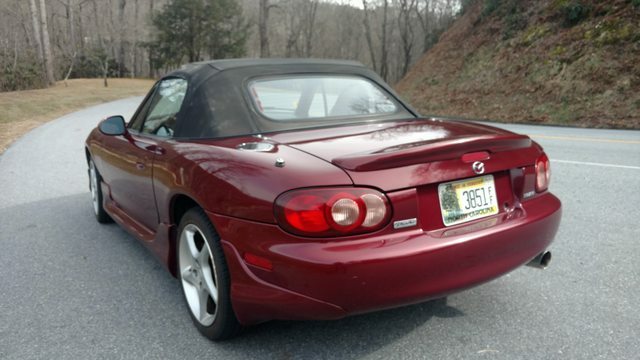 Selling this car to help with new home expenses and would prefer a NB1 for auto-cross purposes. The drive-train was swapped to an OEM 65k mile because the original was rebuilt and repurposed for another miata. BP6D(VVT) engine, 5-speed transmission, 4.3 open diff. Burns no oil(valve stem seals are good), no seal leaks oil, no grinds in the transmission, no clunks or shudders from the diff. Drive-train has 100% OEM components. Radiator is in good condition(black) and timing-belt was replaced on the engine ~5000 miles ago. 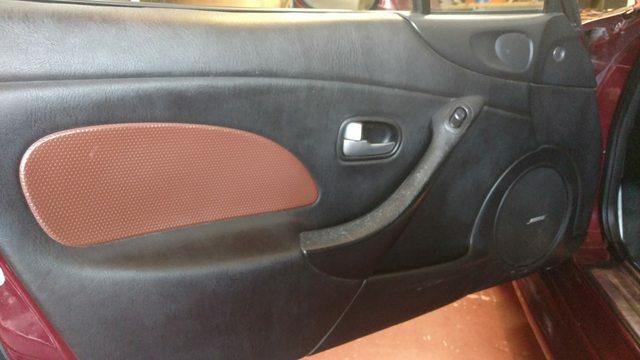 The original interior was actually tan, but has been swapped out with 2002 SE interior, save the leather seats. This black cloth with saddle brown accents. The driver's seat does have some wear, but that's really the only interior issue. Head unit does have an aux hook-up. A/C blows cold, heat works great, cruise-control functions, and the car will come with 2x key-fobs. 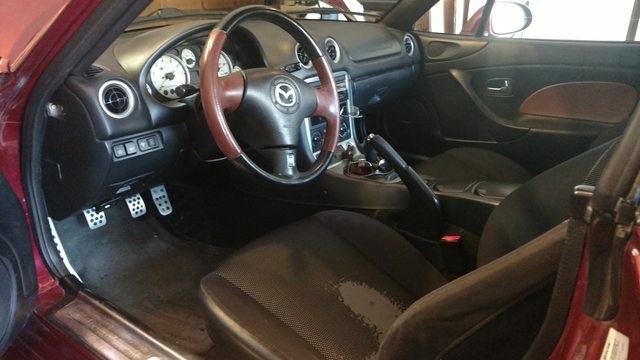 There's a few cosmetic flaws externally, common for a car 16 years old and 120k+ miles. Biggest flaw is the clear-coat is pealing on the spoiler, had plans to repaint it. 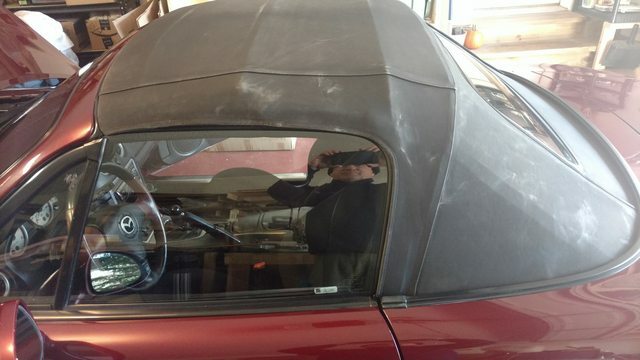 The soft-top was originally tan, but has been dyed black. There's one small hole that has been fixed, no leaks on this top and the rain-rail is in good condition. The car does have the appearance package 2 with the front air dam, side-skirts, and mud flaps. The car has a RacingBeat 1.125" hollow front sway-bar with SPM adjustable end-links. This makes a tremendous difference on an otherwise stock NB2. The car does not have hard-s springs, but I did eventually want to go that route. The car is also on OEM shocks. It comes with both the OEM 16x6.5 5-spoke wheels with low mileage all-seasons and new(used for one event) 15x6.5 Konig Heliums(11.5lbs) with 205/50/15 RE71Rs that have many auto-cross runs on them. If you do not want the Heliums than you can take $250 off the price. Last edited by flier129; 03-22-2019 at 05:53 PM. 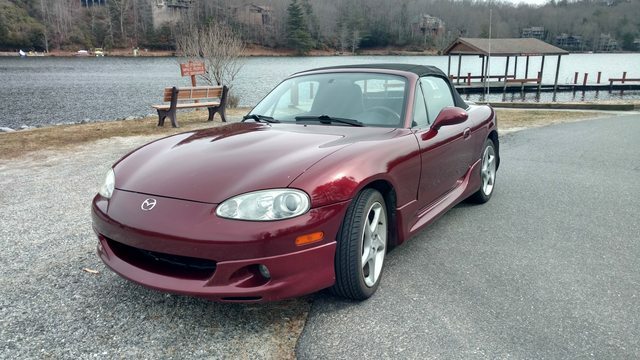 Red seat in a velocity red MSM-too gay?